ISBN 9780691135380, Princeton University Press, Hardcover with library binding and printed dust jacket, sewn binding, 8½ by 11 inches (21 by 27.8cm) 457 pages + 1 page epilogue, illustrated through out with colored maps, colored figures in text and black and white drawings and 2100 color photos on 109 full color plates. First off let me say that this is a magnificent book by one of the foremost authorities on the Conidae that we have today. Dr. Kohn takes a very conservative approach and recognizes only 53 valid species from among the hundreds of species that have been named and described as coming from this part of the world. 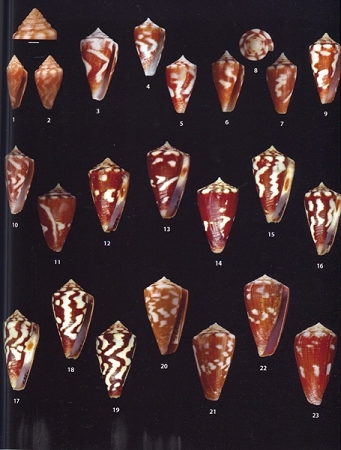 While those who insist upon having a name for each of the possible variations that can be found among these shells will not be pleased with this work, the book will go a long way towards defining what actually is a species and what is not. 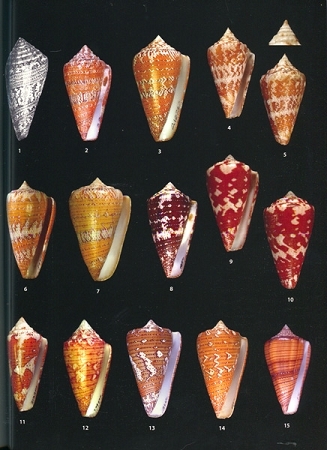 Dr. Kohn does not make use of the super-specific classification for the cone shells proposed by Tucker and Tenerio but continues to classify these shells all under the genus Conus. 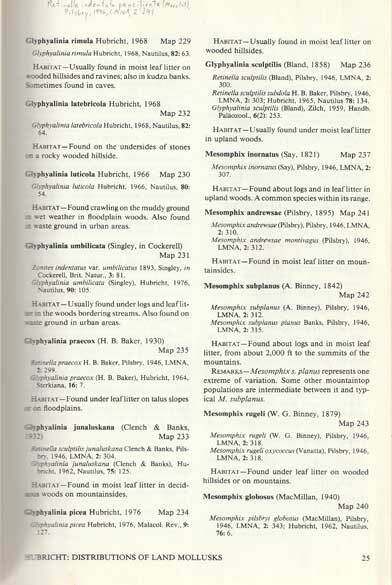 The descriptions and the facts and descriptions found in this work are outstandingly well written and the numerous photographs of many variable shells of the same species should settle the controversy over the nomenclature of these shells. 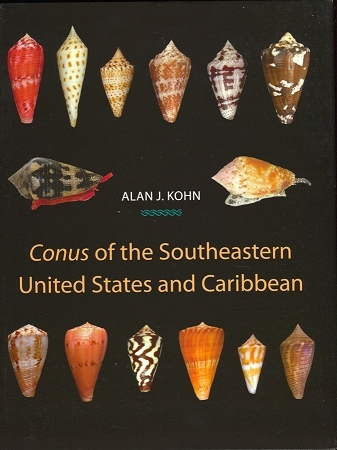 If you are at all interest in the Conidae or in the shells found in the Florida Caribbean region you need this book! This is a used copy but it looks almost new. There are some bumps and slight tears at the corners of the covers but everything else about it is perfect.